Stur was born while my wife was pregnant with our twin girls. The doctor had recommended she drink 8-10 glasses of water a day - but like most Americans, she wasn't drinking even half of that! And she was getting dehydrated. So to help her, I started looking for healthy ways to flavor her water. I went to the store and searched the drink mixes, but found that they were all made with artificial chemicals that we didn't feel comfortable putting in my wife's body. Finally we started making them ourselves, using real fruit and stevia extracts. It took us over a year and hundreds of different combinations to land upon a blend that tasted better than most bottled sugary drinks! When I first told my family and close friends about Stur, they told me I was crazy to launch a product in this category, competing with established, multi-billion dollar companies. Then they tried Stur. 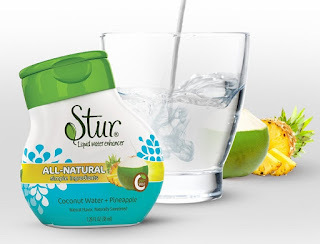 They still told me I was crazy, but they also admitted that Stur tasted fantastic! I counted that as a saving grace. Entrepreneurs have to be somewhat crazy to start something, but I could never have started this business without my wife's incredible support - that has been the constant. Since then, we've started selling Stur in a variety of online and offline retailers, as well as on the home shopping channels. We got into every outlet through cold-calls and pounding the pavement; it's hard work but we thank our customers for keeping it going. The name "Stur" is relevant to the drink mix category, but it actually stands for "Savor The Ultimate Reason." It took my wife and I over 3 years to get pregnant - and during the tough times, we used to tell each other to remember our ultimate reason - to build a family. For our customers trying to lose weight, manage diabetes, or just be healthier and drink more water everyday - whatever your ultimate reason, we hope you stay confident and that Stur helps you reach your goals as it did ours. Available in several delicious flavors, Stur ALL-NATURAL, Non-GMO liquid water enhancer is for those who want to drink more water naturally! We only use the best natural fruit and stevia leaf extracts. Add as little or as much flavor as you want. 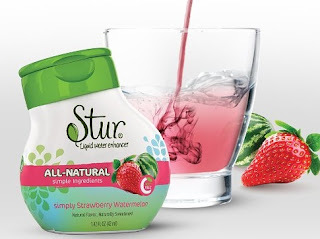 Each portable bottle of Stur makes 20 drinks - with 0 sugar, 0 calories, and 100% Vitamin C per serving. Stur Liquid Water Enhancer is so good! I've never really been a huge water drinker, but I love flavored water. When I heard that this water enhancer had zero calories I immediately thought there has to be an aftertaste but to my surprise there isn't. 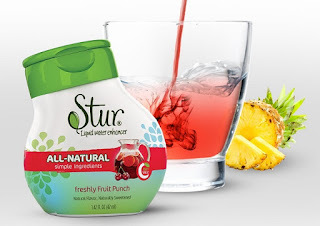 Each one of these flavors tastes absolutely amazing and I've definitely started to drink more water during the day because Stur Liquid Water Enhancer tastes so good. It honestly tastes like juice! It's also nice that you can add as much or as little as you like to your water. 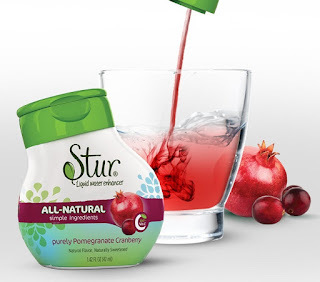 I also love that each Stur Liquid Water Enhancer is sweetened with natural stevia leaf extract and uses natural fruit. It's also Non-GMO! Stur Liquid Water Enhancer is a wonderful product and I highly recommend it! Click HERE to view other varieties by Stur! Follow Stur on social media!